In 2014, Latinos made up 17% of the population and consumed and average of 177 hours of TV per month, according to Nielsen. While the Hispanic population – and their influence – is steadily growing, this is not reflected in today’s primetime TV shows. With African-American lead actors, like Terrance Howard on the breakout show “Empire”, and Viola Davis in the hit drama “How to Get Away with Murder”, the stage is set to start showcasing Latino actors and actresses. Currently however, Gina Rodriguez, who plays the lead role in the CW’s “Jane the Virgin”, is one of the only Latino leading network stars. 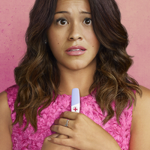 While the hope is for more prominent (and accurate) portrayals on mainstream TV, actresses like Gina Rodriguez are paving the way for other young Latinos, similar to Eva Longoria, Jennifer Lopez, Michael Pena and others, who blazed the trail before her. Her hit show continues to hold its own in its Monday night time slot, competing against veteran shows like “2 Broke Girls” on CBS, and newcomer “Scorpion” on ABC. Rodriguez’s 2015 Golden Globe Award, for Best Actress in a Comedy Series, put her front and center as the poster child for Latinos on TV. The Puerto Rican star seized the moment during her acceptance speech, using the national platform to speak out on the lack of diversity on TV. With Rodriguez on “Jane the Virgin”, veteran actor Edward James Olmos in a recurring role on Marvel’s “Agents of S.H.I.E.L.D.”, and Romeo Santos as one of the newest additions to the Fast and the Furious franchise, are Latinos on the cusp of having their moment on the small and big screen? We’ll just have to tune in and watch. Annayelli Flores is an assistant account executive at FCG Latino.